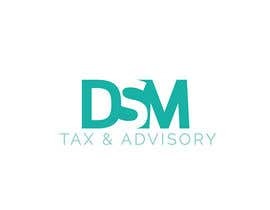 I need a logo designed for a business call DSM Tax & Advisory. They are a general one stop accounting shop and want to embrace technology and efficiency. They have an existing logo and they like the colours and font but want it to be more modern in style and to have more options to choose from. They like the attached MT Lawyers Logo as an example. The winner will need to supply AI or PSD files of the finished logo. good day Madam, Thank you. #6 #7 hope you will like my entries.